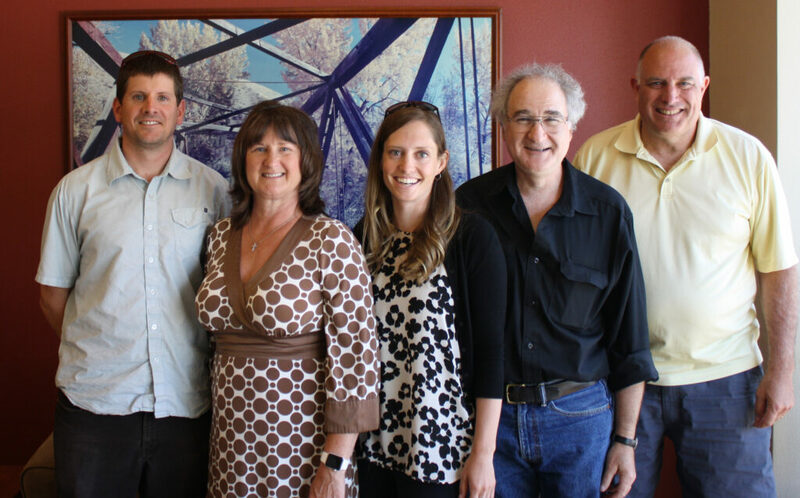 The Nonprofit Practices Institute (a partnership between the Community Foundation of NCW and the Icicle Fund) is hosting its annual Board Celebration Dinner this September to honor and recognize the service of our region’s nonprofit board volunteers. Board members currently serving nonprofit organizations in Chelan, Douglas, and Okanogan counties are invited to enjoy a complimentary dinner at one of two locations: Sleeping Lady Resort in Leavenworth on Tuesday, September 25, 2018 or Sun Mountain Lodge in Winthrop on Wednesday, September 26, 2018. Mingle with new and former colleagues, enjoy refreshments, feel inspired by and honored for the important work that you do in our communities! Our special guest speaker for the evening, Leslie Sholl Jaffe, has over 31 years of experience as a consultant across businesses and nonprofit organizations. She has expertise in leadership development, effective communication, strategic envisioning, organizational alignment, and coaching for personal and professional development. Both dinners are buffet/family style. Each guest will receive 1 complimentary beverage ticket; additional beverages can be purchased at the no-host bar. Dinner is complimentary, however we do require a credit card number to reserve your seat. If you cancel after September 17th, you will be charged $75 to cover the cost of your meal. Deadline to reserve your seat is September 17th or when maximum capacity is reached. The Community Foundation of NCW (CFNCW) has awarded $576,272 in scholarships to 151 students entering or continuing their education at college, university, and trade schools. This is the largest amount of awards the foundation has disbursed in a scholarship season to date. 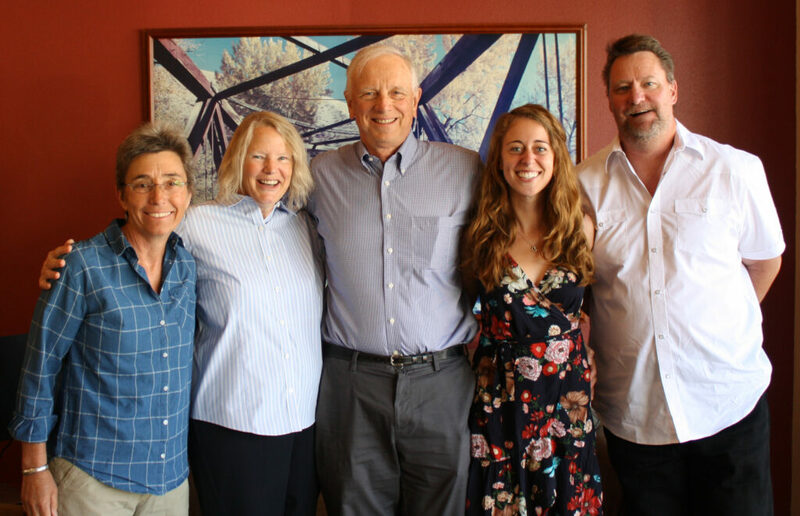 The foundation manages over 100 unique scholarships, established by individuals and families who are passionate about supporting education for local students. Scholarship criteria varies from academic performance, to field of study, to overcoming obstacles and potential for success. Most scholarships aim to support those with the greatest financial need. Over 200 volunteers from across the NCW region serve on selection committees that determine final award recipients. Committees may have between 5 and 100 applications to review. 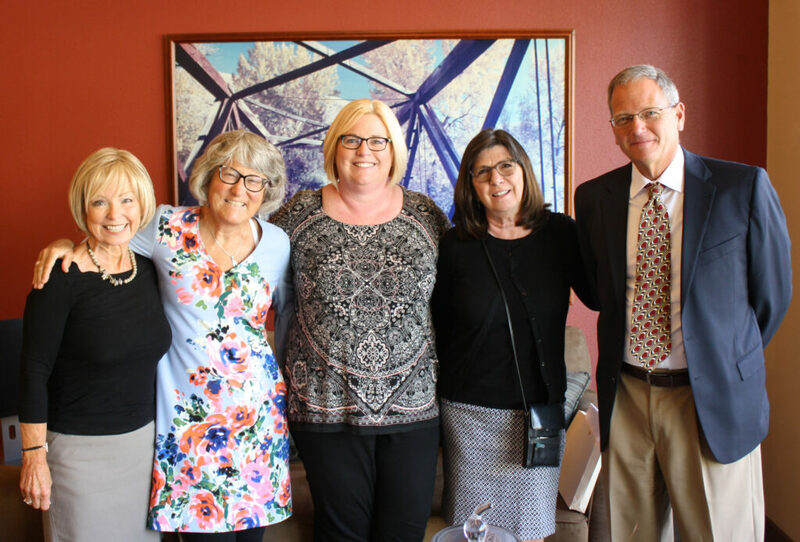 Thanks to a partnership with the Central Washington University (CWU) Foundation, students attending CWU will have their Community Foundation scholarships matched by the school, up to $2,500 per award. This year those students will receive a total $30,650 in matched scholarships. Scholarships for 2019 open in December of 2018 with most applications due by March 1st. 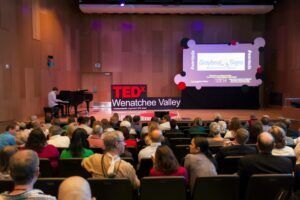 In 2014, TEDxWenatchee presented its first event, themed “Connecting the Dots”, aiming to energize leaders to think more creatively about the possibilities for the future of the valley. TEDxWenatchee organizers Sara Rolfs and Jessica Lara announce today that TEDx will return to the Wenatchee Valley for the second time. The event will be held on February 20th, 2019 at Wenatchee Valley College’s Grove Recital Hall with an additional Live Streaming options simul-cast at the Pybus Event Center. ED events are TEDx events where educators, students, administrators and others gather to discuss the future of education. ED events give people in educational communities an opportunity to spark discussion on the future of education, and share those ideas with the global community. TEDxWenatcheeED has opened its nomination/application process which closes on September 21st, 2018. For more information or to nominate someone (you?) with a fantastic Big Idea, please visit tedxwenatcheevalley@gmail.com. Organizers add that they are curating for thinkers, doers, artists, and people with ideas about education. Researched-based ideas are welcome as well as emerging talents in performing arts. TEDxWenatcheeED is a ticketed event. Please visit the TEDxWenatcheeED website for updates on ticket sales or follow TEDxWenatchee on Facebook. Are you a thinker, doer, artists, and/or person with great ideas worth spreading about education? Be a speaker at TEDxWenatcheeED! Submissions are due September 21, 2018. TEDxWenatcheeED is not-for-profit project and is grateful to the Community Foundation of NCW for providing fiscal sponsorship so that all donations are tax-deductible. A limited number of event sponsorships are available for local and regional businesses. For more information please email tedxwenatcheevalley@gmail.com. Follow TED on Twitter, on Facebook, and Instagram. The Community Foundation of NCW has chosen the Wenatchee Valley Humane Society to receive its $50,000 Endowment Grant. The Endowment Grant is a competitive grant open every other year to 501c3 nonprofit organizations in Chelan, Douglas, and Okanogan counties. The grant provides the recipient with an annual stream of income through a permanent fund at the foundation, roughly 5% of the fund’s balance. As the fund grows through investment and added donations, the annual income increases for long term support of the organization. The Endowment Grant is awarded to a well-established, extraordinary organization that is making a significant impact in the community it serves, has experienced leadership at both the board and staff level, and is poised to take the organization to the next level. Out of eighteen applicants, four finalists were chosen to give presentations to the Endowment Grant Committee, comprised of several board members. The other three finalists were: Methow Recycles, Women’s Resource Center, and Upper Valley MEND. The next opportunity for the Endowment Grant opens February 1, 2020. For more information, visit www.cfncw.org/endowmentgrant. The Nonprofit Practices Institute (NPI), a partnership between the Community Foundation of NCW and the Icicle Fund, announces its fall workshop for nonprofits: Interpersonal Leadership Styles. This workshop examines various leadership styles and the impact of those individual styles of behavior on producing results. Participants will take a survey in advance of the workshop, then review the results in a collaborative setting. The workshop is intended for nonprofit leaders, including staff and board, but anyone is welcome to attend. Each participant will take home a booklet with their individual survey results along with tips and tools for communication. Presenter Leslie Sholl Jaffe has over 31 years experiences as a consultant across a broad spectrum of businesses and nonprofit organizations, creating environments that enable people to transform their lives and achieve results. 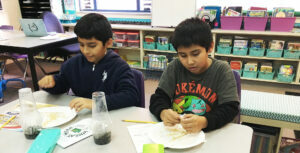 The Community Foundation of NCW has partnered with Microsoft to provide technology support of STEM innovation projects in three NCW school districts and the TechSpark initiative that will provide free technology assessments, products, and training for nonprofits across the North Central Washington region. The Tonasket and Oroville School Districts will both receive $9,600 for a project that will allow high school students to learn STEM, design, and digital skills as well as engaging parents and students together in STEM-related activities in collaboration with the Gear Up program. Gear Up students will receive training in 3D modelling, principles of 3D printing, the Engineering Design Model, digital skills, multirotor operation/design and competitions/challenges with other Gear Up sites. The Mansfield School District will receive $5,000 to purchase a 3D printer and allow high school students to take two classes offered by Central Washington University in engineering, technology, science, and computers. Students will receive hands-on training in operation of AutoCAD’s design and drafting software with emphasis on features, limitations, and dimensioning strategy. They will also learn three dimensional modeling including design of parts, assembly, and working drawings using 3D solid modeling software. Microsoft is offering nonprofits access to free technology products and training to help improve efficiency and secure data through its TechSpark initiative. TechSpark aims to foster greater economic opportunity and job creation through partnerships with rural communities, learn about local challenges, and implement digital initiatives to help accelerate growth. The TechSpark initiative focuses on five program areas: digital transformation, digital skills and computer science education, career pathways, rural broadband, and support for nonprofits. North Central Washington has been chosen as one of six regions selected as a Microsoft TechSpark community, with a focus on supporting nonprofits. Nonprofits in the region who want to take advantage of free technology will need to start by taking an online assessment that will give TechSpark information about their needs. From there, TechSpark will implement the appropriate tools and software, and provide training in partnership with Logic 20/20, a technology consulting firm. Deadline to submit the technology assessment is July 20, 2018. The Community Foundation of NCW is now accepting applications for its Regional Impact Grant (RIG) open to 501(c)3 nonprofit organizations and government agencies in Chelan, Douglas, and Okanogan Counties (excludes organizations in the Methow Valley and all public schools, as those entities have other dedicated grant programs). In 2017, a total of $441,630 was awarded to 25 nonprofits with over $235,000 coming from donations through Give NCW. To date, the RIG program has awarded over $4.5 million to support charitable work across North Central Washington. Applicants must apply online, deadline is August 1, 2018. Site visits with each applicant are scheduled through the end of October and Give NCW starts Thanksgiving Day through December 31st. Grants are awarded in January 2019.